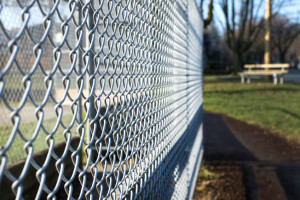 Installing a chain-link fence, whether through use of a contractor or by yourself, is a multi-step process that takes place in two broad phases. The first phase is consultation and assessment, where the site of the fence-to-be gets examined and the actual approach is fleshed out. Phase two is when the chain-link fence installation actually happens and requires proper use of tools and materials to prevent compromising the structural integrity of the finished fence. Both phases involve a fair bit of elbow grease, but neither is overly hard if you know what you’re doing. Here are some chain-link fence installation instructions to give you an idea of what the process involves. This is when a chain-link fence contractor is called in to take a look at the property and give you an estimate on what installing a chain-link fence will cost. Take advantage of the contractor’s expertise to ask questions about material suggestions, aesthetic options, local bylaws, and more. Installing a chain-link fence is going to involve a bit of digging to set the posts, so you will need to make sure the ground is capable of supporting them. An assessment is best made during periods of mild weather when you can gauge the ground quality under typical conditions. Most posts need to be at least 18″ deep and 8″ in diameter, and the soil shouldn’t be too soft (which will make shifting more likely) or too hard. If you undertook a consultation, it should be possible to get the chain-link fence contractor to give advice on ground quality assessments or even to perform one for you. This is a basic but often overlooked step. Make certain you know for sure where your property ends and your neighbour’s begins. No one wants to devote time, money, and energy to a new chain-link fence only to realize it’s been installed on someone else’s land. The final step of phase one is to actually figure out the chain-link design you want and the materials you need. Again, a fencing contractor can help with this. Most chain-link fences range in height from 3 1/2 feet to 12 feet, coming in sets of 20 posts and 50-foot rolls. However, it should be possible to find smaller sets if you want to make more specific enclosures. The exact mesh you want is going to vary based on what the fence is meant to enclose. Deterring trespassers, for instance, is going to call for a tighter mesh that won’t be easy to climb over. Use stakes or wooden posts to mark out where the chain-link fence posts will be placed. It is important to keep the posts evenly spaced at least 10 feet apart. You should check with your utility company to make sure there aren’t any wires or pipes that may be in the way. The exact depth you need to dig the holes for your chain-link fence installation will depend on the height of the fence involved. Ideally, the amount of fence that goes underground will be around 1/3 of the amount that goes above ground. The holes should be about three times the diameter of the pole as well, with slightly larger and deeper ones for any gates so that those posts can withstand the movement more. Post holes can be dug by hand or with a specialized digger tool. If you dig too deep, you can use gravel to make up the difference. Once the posts are set level, mix fast-drying cement (follow the instructions on the packet) and pour into the holes. Let it cure for at least 48 hours (or longer—again according to the instructions). Attach the rail cups to each post and loosely tighten them into place. Secure the dome cap to the top of each post and put a loop cap atop each line post. Each post should also have three tension bands that are loosely tightened. The bolts on all of these should face the outside of the fence. Starting at the first post, stretch the mesh up against the post. Then, weave a tension bar from the top down through each “diamond” in the mesh and through each tension band while making sure the bands are spaced equally along the height of the post. Next, roll out the mesh towards the next post while stopping every five to six feet to attach wire ties so the whole thing stays upright. When you get to the next post, repeat the tension bar procedure. Attach the come-along hook to the tension band’s bolt at the terminal post and the other hook to the tension bar itself. Ratchet it into place until the mesh is stretched and taught. Cut off the excess using wire cutters and repeat until done. When installing any fence, it is important to have the right tools and equipment. If you lack any of these, your local hardware store should have them in stock. A fencing contractor will also have all of these and more, should you wish to employ one. The exact number of each material needed is going to depend on the size of the fence. Such specifics are best discussed during the consultation phase. When it comes to chain-link fences, Total Fence Inc. knows what it’s talking about. 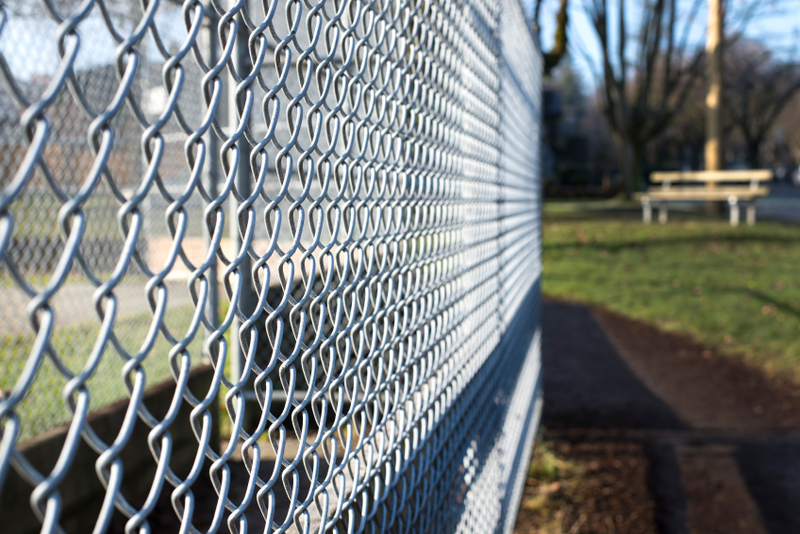 Our fencing experts can walk you through the ins and outs of chain-link installation and maintenance. We’ll make sure you know the best way to get your chain-link fence in place and in top shape. Contact us at 416-239-5362 to speak with a consultant and learn more.